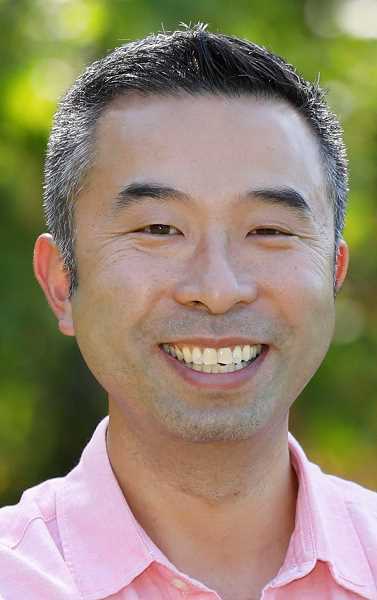 Daniel Nguyen won open seat on City Council in the most diverse campaign in Lake Oswego's history. Lake Oswego voters elevated the first person of color to a seat on the Lake Oswego City Council. Daniel Nguyen led all of the candidates with 20.43 percent of the vote as of Wednesday. Nguyen and the other winners are already busy setting up their official City email accounts and are beginning to meet with people like City Manager Scott Lazenby and City Recorder Anne-Marie Simpson to gain some of the knowledge they'll need to hit the ground running in January. Nguyen, a small-business owner who is perhaps best know for his Bambuza Vietnamese restaurants, says he's also excited to participate in an "elected leaders bootcamp" put on by Portland State University, as well as training offered by the League of Cities that helps newly-elected leaders understand how to communicate and some of the ethics that surround public office. "I'm still processing all this," Nguyen said. "The reaction I've received has me so humbled." Chrissy Erguiza, Nguyen's campaign manager, says humility was at the center of their efforts. Often, she said, it wasn't until they were out in the field that she got to see some of the surprises hidden beneath Nguyen's calm exterior. "One time, we were out canvassing and we came across this Chinese man. All of a sudden, Daniel just burst out in Mandarin and began really connecting with this guy," Erguiza said. "I had no idea he even knew Chinese." Nguyen reached out to Erguiza again when he decided to run for City Council. 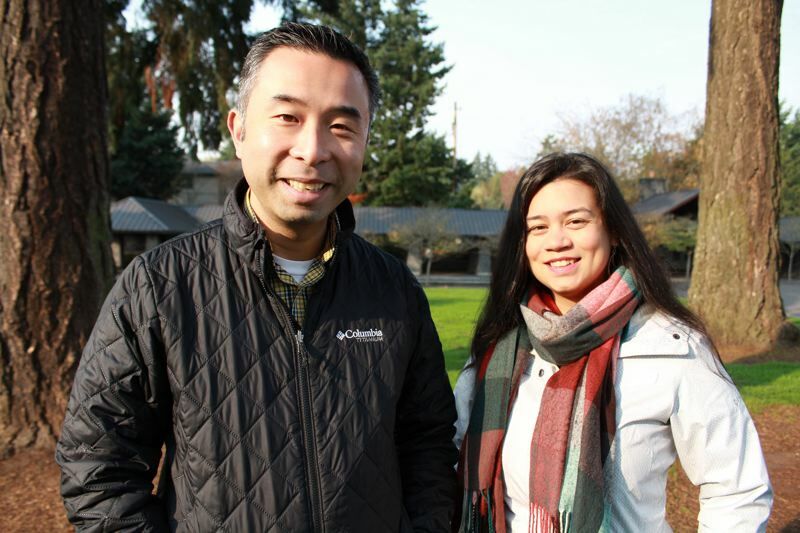 Together, they put together a strategy that allowed them to win the race by a wide margin and elevate Nguyen to a seat on the Lake Oswego City Council — the first person of color to ever hold such office. "When you're in the moment, it's hard to analyze what has happened. But this week, as I've had time to reflect, I've realized that what Daniel has done is quite historic," Erguiza said. It's a particularly proud moment for Erguiza as well, as a woman of Filipino descent and someone who proactively seeks to work with candidates who represent Asian American and Pacific Islander communities. "Daniel puts his values into action. Not only is he personable, he's solutions-oriented," Erguiza said. "That's why I decided to work with him." 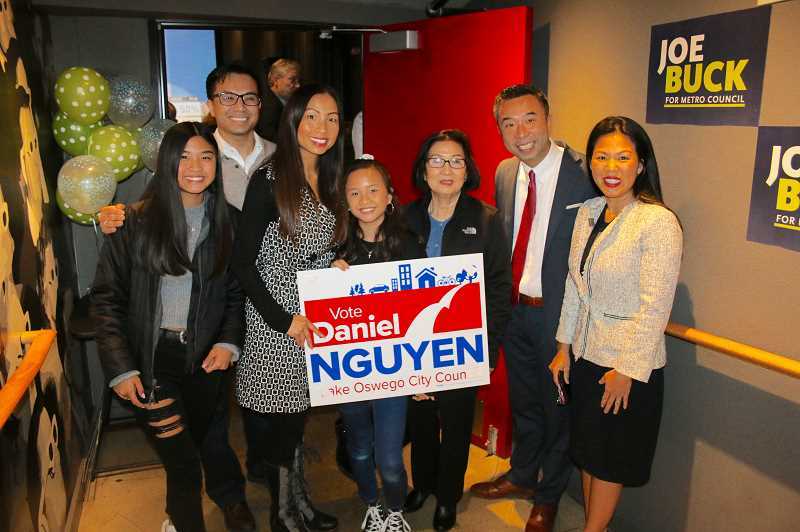 Nguyen's campaign focused on making sure all Lake Oswegans have the same opportunity to thrive, whether that be through encouraging the development of affordable housing, improving diversity among City staff or simply fostering public participation on local issues. In total, the seven active candidates collectively raised more than $114,000 in their bids to join the council.